Normally, we openly laugh at couples who go out of their way to dress alike. But there’s something impossibly adorable about this elderly couple who’s worn matching outfits every day for the past 35 years. Nebraska couple Mel and Joey Schwanke have been married for 64 years (!) and for more than half that time, Mel’s tie has perfectly matched the material of Joey’s dress on a daily basis. 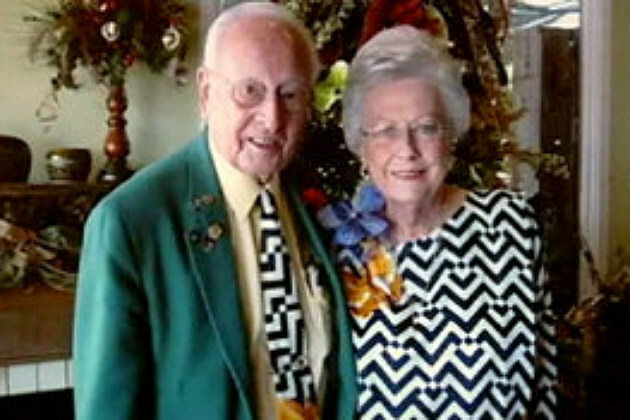 They have 146 custom-made matching outfits and store them in a specially-built closet. According to Mel, their ensembles are a matter of pride. “We don’t dare go somewhere without matching outfits,” he said. Each day, they go through the process of selecting Joey’s dress and a matching tie for Mel. In fact, they’ve been doing this for so long that neither can remember how the tradition started. Still, they say, it’s one of the things that’s helped their marriage last for so long. Aww! This entry was posted in pensioners on May 31, 2012 by Fatcontroller.